V.I.P. 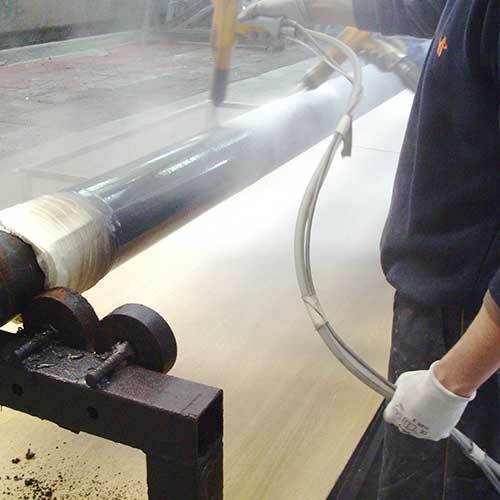 Pesaro is one of the few companies able to offer the 3LPE coating on pipes as well as on custom pieces. 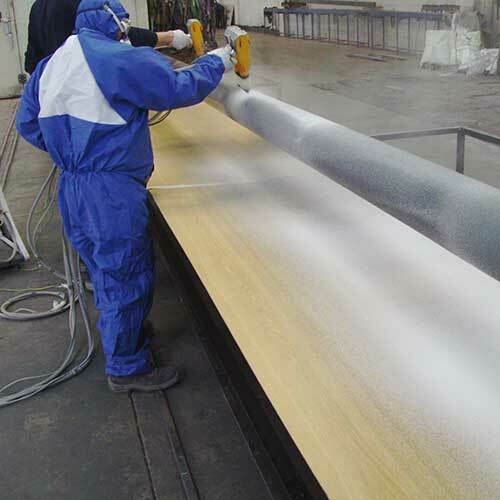 The coating is a multilayer composed of a primer fusion bonded epoxy (FBE) followed by an adhesive copolymer and another layer of polyethylene which provides resistance and long-lasting protection. The system ensures the applicability of the sintered coating also on pieces with special shapes. 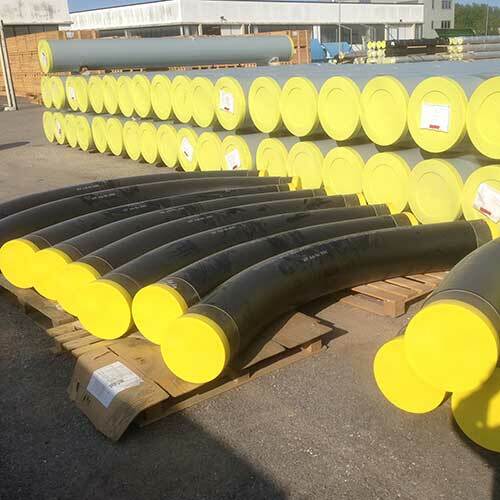 The FBE primer offers an excellent adhesion to the substrate and provides a long-term corrosion protection for pipelines operating at moderate temperatures. 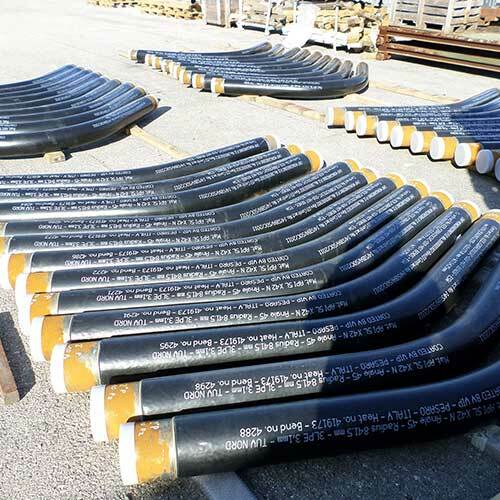 It also ensures the resistance to the cathodic disbondment so the total cost of cathodic protection of the pipeline decreases. 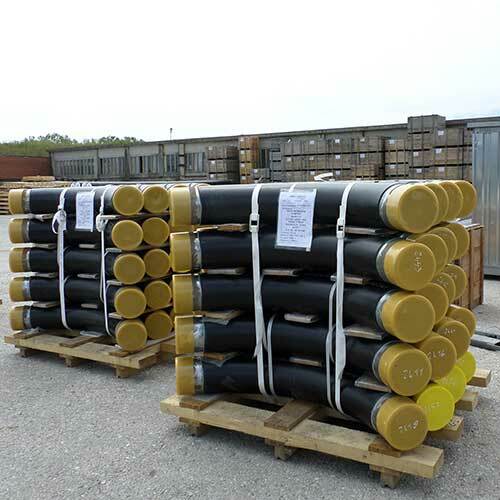 The applied polyethylene layer protects the pipeline during shipping and installation reducing repair costs and providing a protection underground against mechanical, chemical and abrasive attacks. Applying an higher polyethylene thickness the mechanical protection increases proportionally. V.I.P. Pesaro using this special application technique is able to coat also specific pieces with special shapes (bends, tees, reducers, joints, etc.). 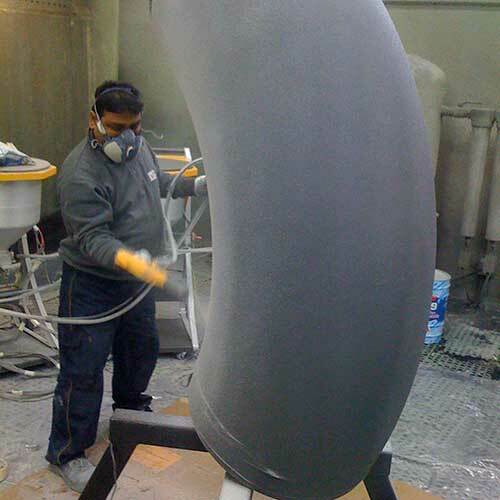 There aren’t any limitations about the amount of pieces to coat, even the single piece can be treated. 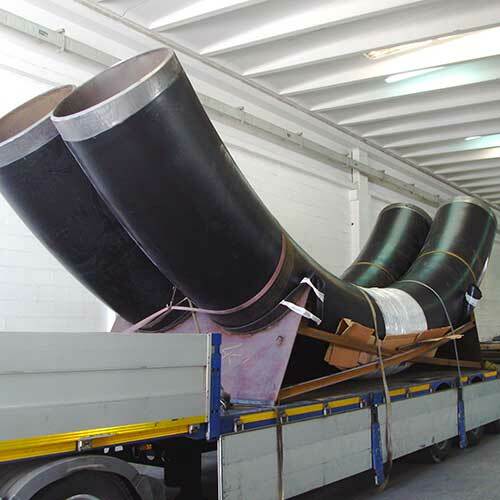 3LPE can be applied in different thicknesses to meet the requirements of project specifications. Maximum unit weight 15,000 kg. Maximum thickness of the coating 3,5 mm. for additional standards, please contact the technical office. 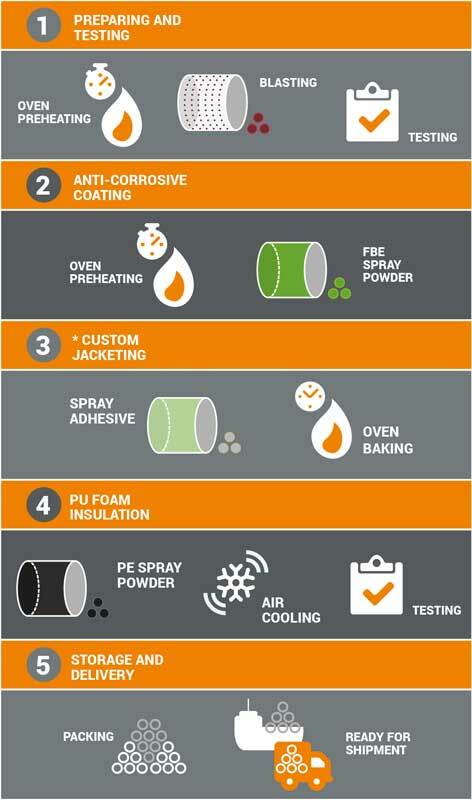 FBE (Fusion Bonded Epoxy) is the best epoxy resin powder applied on pre‐heated surfaces. 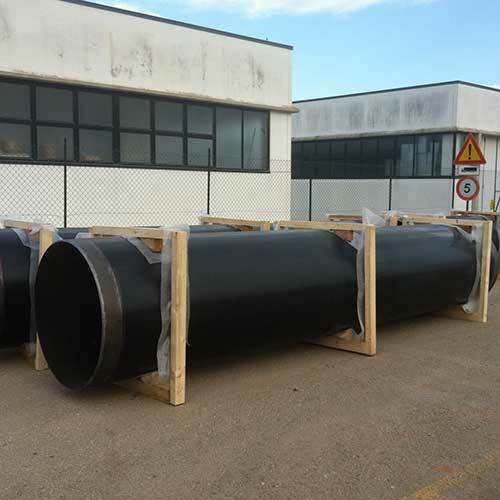 Thermosetting coating designed for the anticorrosive protection of articles destined to immersion or buried services in oil and gas sector and in the protection of the water pipeline.